Have you recently started using an electric powered toothbrush? Whether you’re new to the electric toothbrush or you’ve been using one for many years, you’ll want to ensure you’re using it properly to gain the maximum benefits. Most have built-in timers that help you ensure you brush for the full recommended two minutes. Powered toothbrushes literally make thousands more brush strokes than you could manually, resulting in more plaque removal and a healthier mouth. Easy to hold and maneuver, they’re more effective at reaching tough-to-reach areas of your mouth. To really get the most out of your brushing routine, you’ll need to brush with the proper technique. 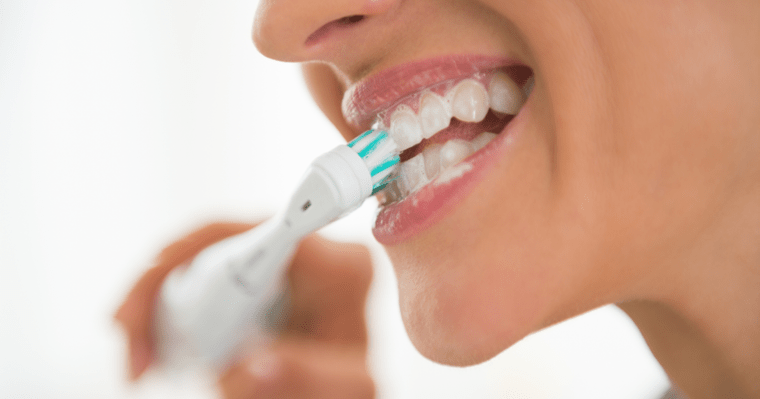 This article will teach you how to use an electric toothbrush most effectively. 1. Hold the brush at a 45-degree angle against your gumline, where the gums and teeth meet. 2. Gently and lightly pull the brush along the gum line, allowing the vibrations to clean the area thoroughly. There’s no need to vigorously brush back and forth as you would with a manual toothbrush. 3. Use a pea-sized amount of toothpaste. Word to the wise: Don’t turn the brush on until it’s inside your mouth – otherwise, you could shoot that pea-sized dab of toothpaste across the bathroom! 4. Use the timer. Most electric toothbrushes have built-in two-minute timers. Some, such as Philips Sonicare, beep throughout the two minutes so you can spend an equal amount of time brushing each quadrant in your mouth. No matter which brand you choose, you can count on improved oral health if you learn how to use an electric toothbrush properly! Now that you’ve chosen an electric brush over a manual one, make sure you use it two times every day. Of course, you can’t count on brushing alone – maintain a healthy hygiene routine by flossing daily and scheduling dental exams and cleanings twice a year. What type of toothbrush do you prefer? Comment below!